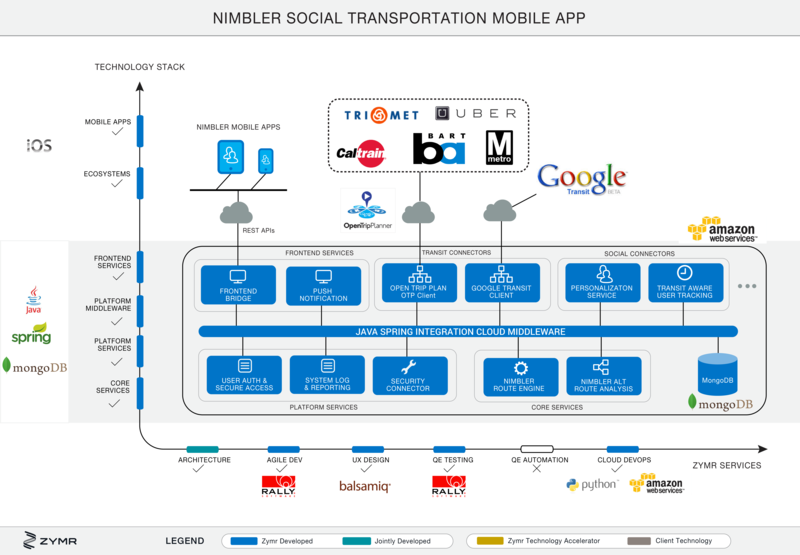 The client, Nimbler World, Inc., realized that the full value of transport networks can only be unlocked by easy-to-use hyperlocal apps, that match transportation demand with supply across public transportation, shuttles, vanpools, taxis, bicycles, carpools, loaner cars, and personal cars form a large and complex network. It decided to build user-friendly iOS apps for several metro areas in the US leveraging a common cloud platform that enabled social and transportation choices, provided geolocation transit data to map out multi-modal transportation options, had real-time feed integration with public and private transportation APIs, provided social sharing and personalization options through machine learning, multi-tenancy support, etc. Nimbler partnered with Zymr to build its cloud apps due to Zymr’s full-stack software engineering expertise, and in-depth experience in critical areas like cloud infrastructure, security and orchestration. Zymr realized the client’s vision of assisting multi-modal, real-time, transit information by delivering an open and flexible SocialTech platform for urban commuters in the five largest metros of the U.S.
Zymr helped the client evaluate various open source lightweight ESB frameworks like Mule, Finagle, Spring Integration, etc. Spring Integration was finally selected by the client for cloud middleware. Zymr built all the cloud services with a multi-tenancy social SaaS platform. Zymr helped evaluate various SQL and NoSQL DB options and then selected MongoDB. Zymr provided comprehensive UX design services for iPhone apps. Zymr developed a set of five iPhone apps and continued to enhance them based on feedback. Zymr provided comprehensive services that included the ability to deploy on Amazon AWS with secure VPC, S3 backup and cloud monitoring services. The Zymr team built 100% of the cloud services for this complex transportation service, along with a set of highly-rated (4+ stars) iOS apps that are listed on the App store, following the agile development process. 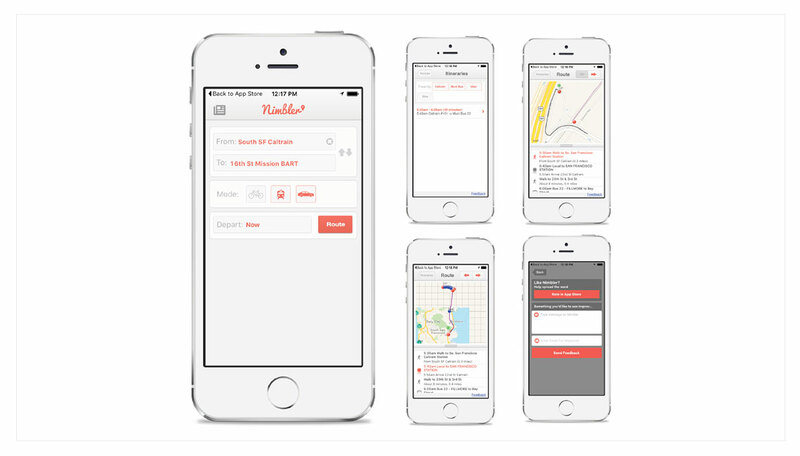 Right from planning the overlay architecture of the cloud server, using advanced technologies and NoSQL DB, to building beautiful iPhone Apps that provide real-time transit routes integrating with public (subway, metro-trains, buses, ferry, etc.) and private transportation (bike sharing, shuttles, taxi-cabs, etc.) networks, and testing, Zymr handled it all. One of the biggest challenge for this project was the varying response time when new routes were requested by the user. The Zymr team solved this problem with a few iterative development steps that included profiling, tuning, refactoring and code-reviewsm, bringing the response time to a consistent 2 to 4 seconds.